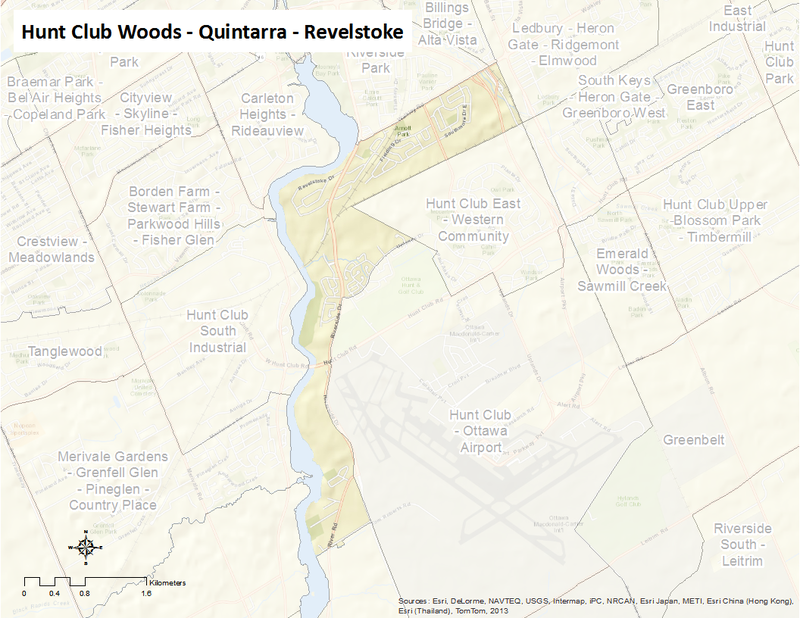 Hunt Club Woods-Quintarra-Revelstoke is bounded by the Rideau River and Walkley Road on the north, Mary Drive on the south, Riverside Drive-Uplands Drive- O-Train line on the east, and the Rideau River to the west. The Hunt Club neighbourhoods were initially part of the Gloucester Township before their amalgamation with Ottawa in 2001. The area was settled in the early nineteenth century and was later named after the prominent Ottawa Hunt and Golf Club, which was established as a private club in 1907. Most of the current Hunt Club residential neighbourhoods date back to the 1970s.